cultural and traditional heritage that dates centuries ago. 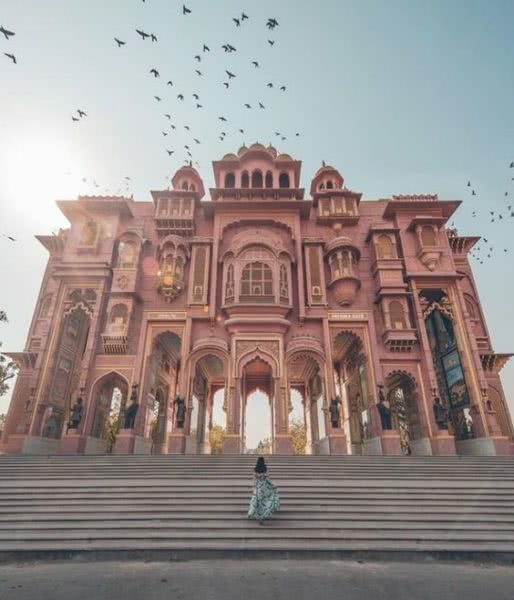 In 1876, Lord Albert gave the title of “Pink City” when Maharaja Ram Singh of Jaipur had painted the entire city in the pink color to welcome the visit of Queen Victoria and the Prince of Wales. 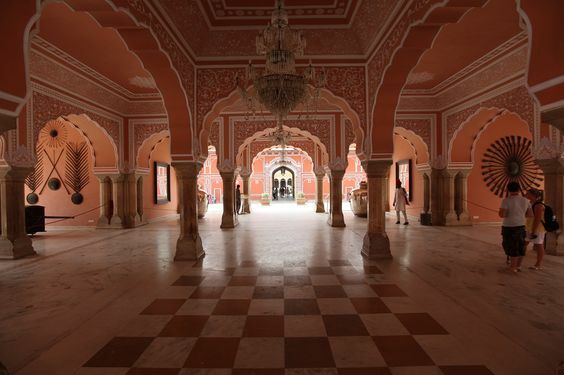 Since then, all the government buildings in Jaipur are built with pink walls. If you seek for royal touch in your travel activity, then Jaipur is your destination. 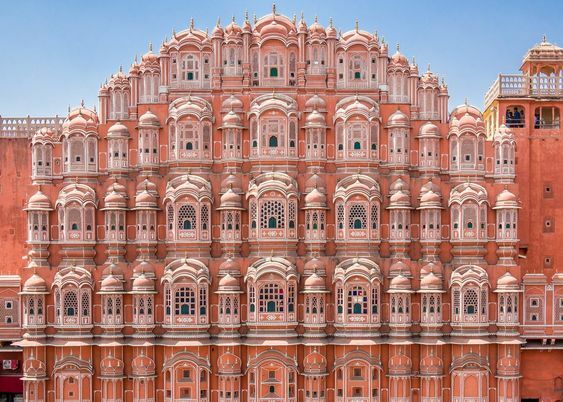 Here we have a complete travel guide to Jaipur: The Royal Pink City Of India. As Jaipur is a landlocked city located in the tropical zone, the temperatures are extremes. 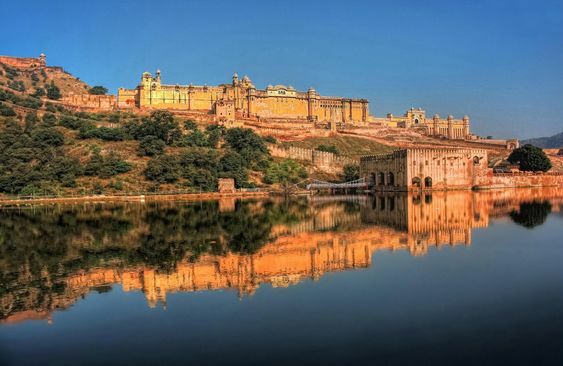 The best time to visit Jaipur is in the winter season; from October to March. The weather is pleasant, all the tourist places open after the monsoons and our digestive system is also quite efficient then so that we can enjoy the local delicacies. 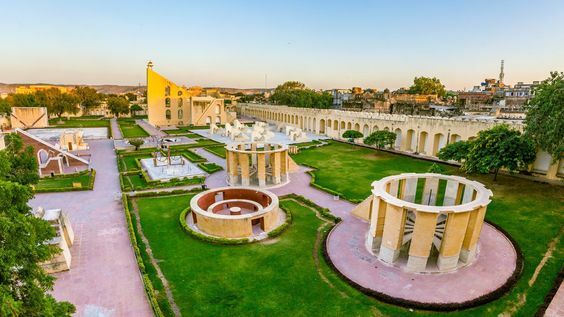 Jantar Mantar is a monument built by Sawai Jai Singh II in the year 1734. This monument has nineteen astronomical instruments that were used to read time, date and zodiacs. Jaipur’s Jantar Mantar has the largest stone sundial in the world. This is an UNESCO World Heritage Site. It is a popular tourist destination. Hawa Mahal gets its name for the breeze that blows through this monument. Hawa Mahal is not a palace, but, a wall that royal ladies used as a screen when they used to eye the street and street activities. In the heart of the city, it was the lavish palace of Maharaj Sawai Jai Singh II. Currently, the palace serves as the royal residence and a museum with an exquisite collection of the Rajput Dynasty. The museum has artifacts, vintage arms and ammunition, the roya dressing, and some other interests of Maharaja Sawai Jai Singh II. It is built by the Birla Family in 1988; this temple is dedicated to Lakshmi Narayan. 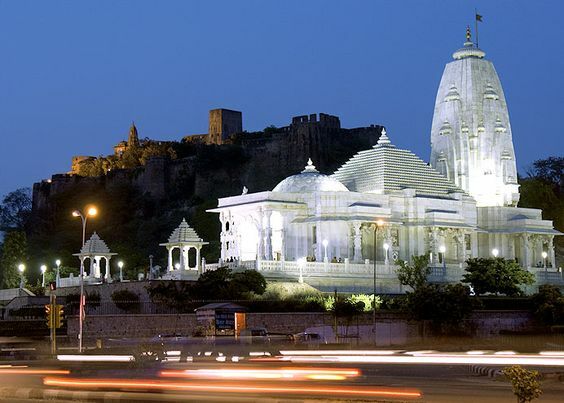 Birla Mandir is built from white marble which sparkles from a distance as a result of the moonlight/sunlight reflection. A soothing and comforting holy place. Located on the banks of Maota Lake in Amer, a small city 11 km from Jaipur is a hot tourist destination. The fort is located on a hill that offers elephant rides. The entire city can be eyed from the observation deck of this palace. This was the summer hunting destination of kings. Water Palace is built amidst the Man Sagar Lake in Mughal-Rajputana style. It is the prettiest architectural building and provides the best view of the lake and Nahargarh hills. Although there is restricted visitors entry at Jal Mahal, you can enjoy the best glimpse of the palace through boat ride. Local markets complete the city. Delhi has Karol Baug, Mumbai has Crawford Market, similarly, Jaipur has Bapu Market. 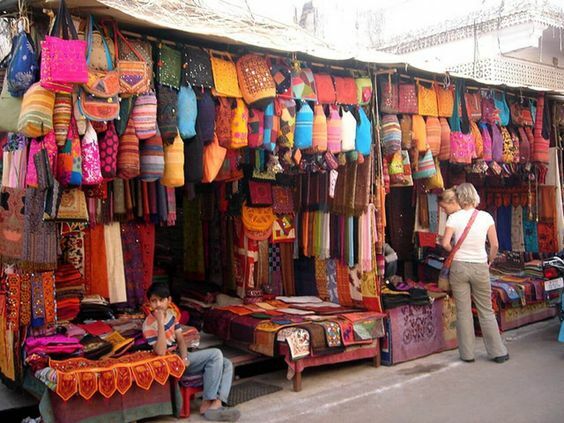 Located on M. G. Road; this market has everything to offer from clothes, local imitation, fashion accessories to fine home décor. Besides, no market is fulfilled without street food. Being the state capital, Jaipur is very well connected to all the major cities of India. By Air: Jaipur International Airport is located on outskirts of India. It serves 2-5 million passengers daily, making it one of the most functional airports in India. By Train: Jaipur Junction falls on a very important route in Indian Railways’ rail network, Mumbai – Delhi. Jaipur Junction falls in the western line of Indian Railways; making it a well-connected railway station in India. Train services from the entire country are available. By Road: The city is a part of India’s Golden Quadrilateral as well as one vertex of the Golden Triangle. The connectivity is enough for travelers across the country to reach Jaipur on a regular basis. Being a favourite wedding destination in the country, there are numerous 5-star hotels in Jaipur with the likes of Radisson Blu, Marriott, Trident, The Lalit etc. For those who want to feel the city and its authenticity, it is highly recommended to stay in the hotels situated within the cities. A few 3-star and 4-star hotels are located within the city. For budget travel, booking on OYO rooms, Fab Hotels etc. is highly recommended. The rooms are neat, tidy and fulfil the purpose of pleasant lodging. Jaipur is not a metropolitan that is alive and kicking 24×7; while planning, start your day early. Enjoy the local street delicacies instead of hopping around global/local chain restaurants. The local shops in the markets may not accept cards, thus, it is handy to carry enough cash. Although, Jaipur is a major city with several lodging and boarding facilities, pre-book your stay. If not done with the royal palaces, then you can easily head to Udaipur. 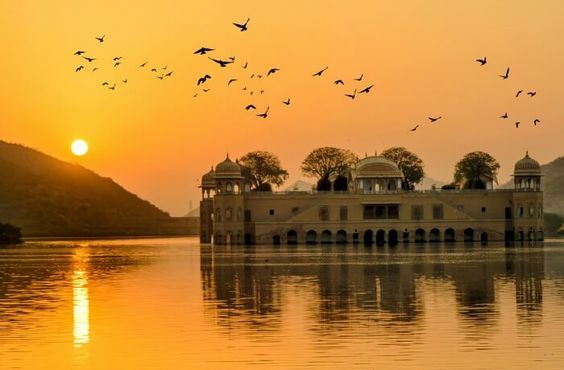 The other pleasant city of palaces and lakes in Rajasthan.